It’s easy to shoot video with an iPhone. It’s not easy to do it well. The built-in camera on iPhone, iPad, and iPod touch allows you to shoot High Definition video, but the challenge is knowing what to shoot, how to frame your subjects, and how to edit the images to tell your story in the most effective way. Capture breaking news as its happening, and share it immediately. Do a quick edit to string-together a few video sequences. How should I hold the iPhone? Hold the phone horizontally, in the landscape orientation. Photojournalist Van Applegate with WJLA, in Washington, D.C., says since a television screen is wider than it is tall, the camera should be held the same way. “We’re often hampered in TV news by the layperson getting great video at the scene, shooting video vertically. 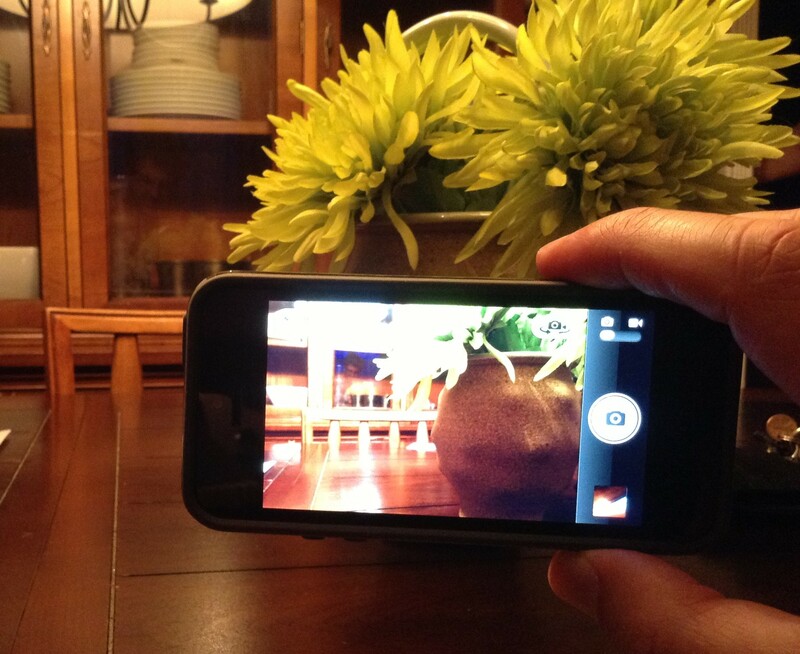 This limits the quality, and our ability to enhance” the smartphone images, Applegate says. Should I use the built-in camera app or a more sophisticated movie app? I generally shoot video with the Apple native camera app, because in a breaking news situation I don’t want to be struggling to find and launch an app, even if it offers features the built-in app doesn’t have. Glen Mulcahy, Innovation Lead with RTE Ireland, says while the convenience of the native Apple app is great, his favorite video app is FiLMiCPro ($4.99). “The extra features like higher bitrate, audio monitoring, with on-screen LEDs and image stabilization are really a fantastic improvement on the native cam. Mulcahy, who publishes a VJ Technology Blog, has been training journalists to use HDV Camcorders, HD capable DSLRs, and more recently smartphones to make multi-media content for 8 years – he shot this iPhone workflow tutorial with FiLMiCPro. How should I frame the shots and how long should they be? 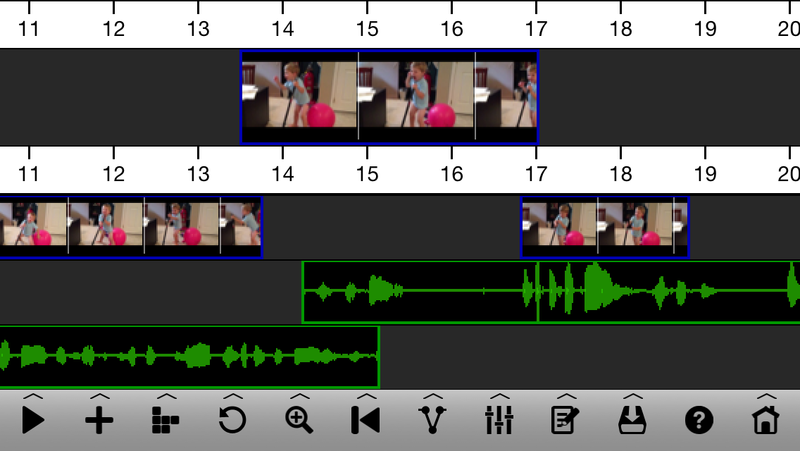 What are guidelines for editing video on a mobile device? Since Applegate – whose Twitter handle is @VBagate – needs to devote his time and attention to shooting and editing video using his traditional TV camera, the content he shares on social media is usually unedited. Applegate shoots his iPhone video using the free Tout “quick cast” software, which provides a speedy upload of a video segment that can be shared easily on social media. Vine, which is free, provides an easy-to-use method of shooting up to 6 seconds of video, and quickly sharing through social media. I prefer the newer free Instagram video feature, which allows up to 15 seconds of video, and basic editing. When editing a more involved project, Mulcahy’s strategy is simple: use your best shot first. On the subject of audio, while I normally use the built-in microphone for #iphonereporting, it doesn’t work well for video. The reason? To properly frame an interview subject requires several feet of distance between reporter and interviewee. I recommend using a standard field microphone, like a Shure SM63 or Shure SM58, with a Vericorder XLR adapter cable, which allows the microphone to be much closer to the speaker’s mouth. What video editing app do you recommend? Mulcahy favors iMovie ($4,99) on iPhone and Pinnacle Studio ($12.99) on iPad. The multi-track video and editing app works especially well on iPad, but even on iPhone the interface is clean and dependable, once you learn the swipes and gestures. So, there you go – a few basics on shooting video. Let me know if you have any questions.